Andy Murray will give his “heart and soul” to come back to tennis after a career-saving operation. The Scot has revealed his intention to retire from the sport after Wimbledon this year, though his appearance at SW19 is now in doubt. The operation should “improve his quality of life,” but the three-time grand slam winner’s mother Judy has revealed his future prospects are positive. “He is doing pretty well,” said Murray. “It is not that long since he had the operation and time will tell. 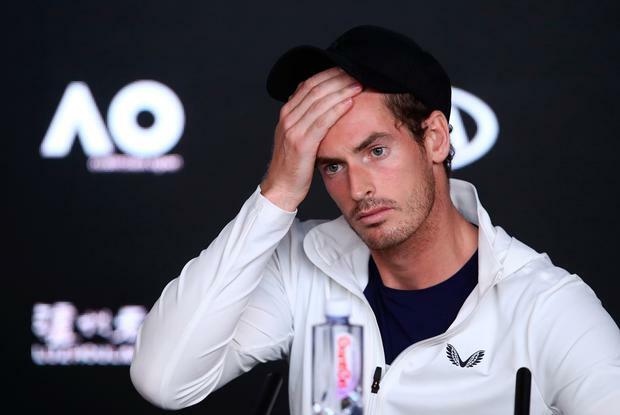 Murray’s mother admits his emotional press conference was “hard” to take in, even tougher than watching him lose his Australian Open match to Roberto Bautista Agut in five sets. Independent.ie Newsdesk Andy Murray has appeared to step up his recovery from a hip operation after sharing a video of him hitting a tennis ball. Kevin Palmer Serena Williams was forced to quit in the seocnd set of her match against Garbine Muguruza at the Indian Wells Masters event, after suggesting she was struggling to breath.